Let’s get this out of the way first: We don’t know anything about Apple’s streaming service, including how much it will cost, when it will launch, and what it will be called. It’ll have a bunch of original shows from high-profile creators. It’ll probably have a very clean aesthetic that just works except when it doesn’t, like all things made by Apple. 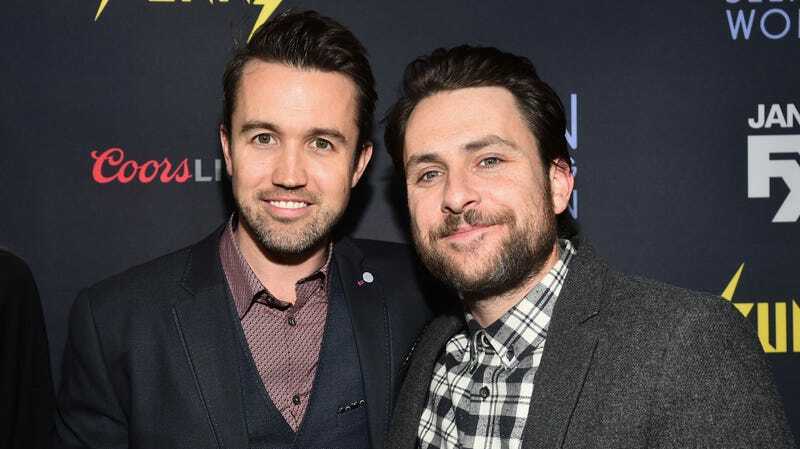 With that established, we can now report that Rob McElhenney and Charlie Day from It’s Always Sunny In Philadelphia have sold an untitled comedy show to Apple for its streaming service. The “cutting edge” show will be set at a video game development studio and will “explore the intricacies of the human condition through hilarious and innovative ways.” Interestingly, real video game company Ubisoft is co-producing the series, so we’re going to take that as confirmation that the show exists either in the Assassin’s Creed universe or the Tom Clancy universe. We’ll know which way the show is leaning if we see anyone with a hidden blade attached to their wrist or if some of the characters are members of a covert military squad with high-tech gadgets and zero accountability. Or, if the show ends on a frustratingly unearned twist that renders everything that came before it completely meaningless, we’ll know it exists in the Far Cry universe. Either way, it’s a comedy show coming partially from real game dev, so it seems safe to assume that the series will ignore some of the darker trends of the video game industry.